Competitors move out to participate in U.S. Army Alaska's Winter Games at Fort Wainwright, Alaska, March 9, 2017. This yearâs events include downhill ski racing, live-fire biathlon range, stress shooting, land navigation, skijoring, setting up the Arctic 10-man tent and stove correctly, and evaluating and treating a casualty in the extreme cold. 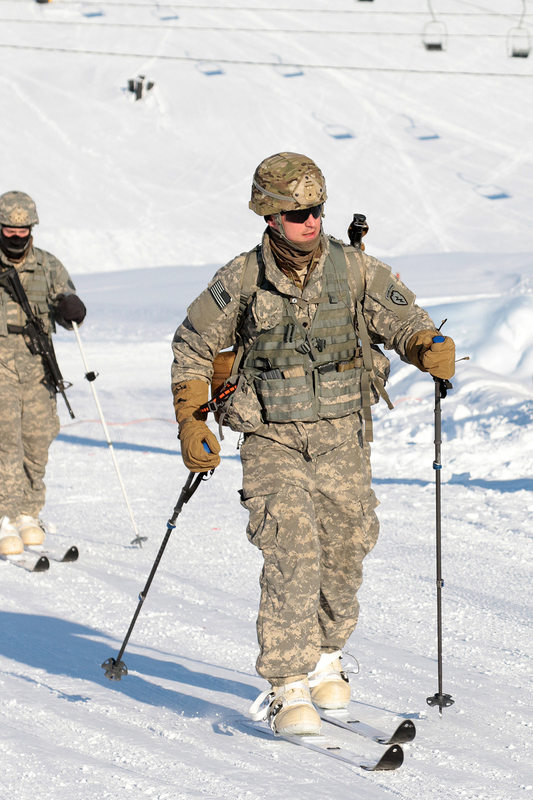 As Americaâs Arctic Warriors and the U.S. Armyâs experts in surviving, operating, fighting and winning in extreme cold weather and high altitude environments, all the skills tested during the games are critical for all USARAK Soldier proficiency. (Army photo/John Pennell). Photo by John Pennell.